Mount Spokane, at an elevation of over 5,800 feet, has a summit that's the highest point in Spokane County, and it is one of the tallest peaks in the Inland Northwest. I’m always enlightened by my fellow endurance riders. As we drive home from the 40th annual 20 Mule Team Endurance Ride, I’m heartened by the many stories that were shared over this past weekend. For some people it just wasn’t their weekend, while others were floating on cloud nine and ecstatic with their horse’s accomplishments. It doesn’t matter the distance but it’s more about the process that one goes through to get out there and do it. With the recent weather, I’m sure there were many who couldn’t come but for those who did, I sincerely applaud their efforts. 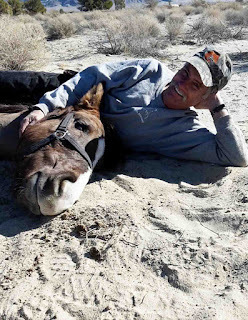 There were first timers in all distances and then there were folks like Laurie Birch who rode her mare Scud Run, completing their tenth 100 miler and reaching her horse’s 11,000 mile achievement. It’s truly mind boggling. Kudos to my friend and frequent training partner Lisa Rushing for braving the snow and ice and still coming out with her horse Razor and completing the 35 miler. She often makes the trek all the way down to Malibu and we spend hours together climbing mountains and conditioning the horses. They are committed to building strength and confidence and will soon be doing the 50 -100 milers. I look forward to that day! It was on this ride a few years ago in 2015 that I rode the 100 miler with my good friends Carlita J Roberts, Helen and Marci Schmidt Cunningham We had such a fantastic ride that year and I’ll always remember them passing by my trailer in the morning to pick me up so that we could ride together. This year Carlita did it once again completing the 100 miler with nothing but giggles and smiles. She is so inspiring and her wealth of energy is off the charts. She is always happy and having a good time. This morning we joked about how it was our 4 year friendversary and I feel blessed to have met her at such an iconic ride. She is as special as the history of this ride, which always reminds me of its earliest beginnings when Jackie Baumgardner got it all started. In fact John was given a special recognition award this year for his volunteerism after all these years. He rode the very first ride and is humble as pie and an unbelievably sweet man. During the ride, Cheeky and I had the pleasure of sharing the trail with a variety of friends over the course of 65 miles. It was truly a solo ride for us with intermittent join ups that always left us smiling. Allan Horn on his hot mare Rosie went on to finish in the top 5 but there was a time when he slowed her down and we got to chat for a mile or two. She’s an impressive girl who reminds me of my Glorianna, with her busy mind and flawless movement. Allan is a big guy and his girl carries him with ease. It’s quite a site to see. On a few occasions, we rode together with Crysta Turnage She is the ride manager for the Virginia City 100, which Cheeky and I also completed back in 2015. She shared with me how much she loves putting on the ride and said that she has a lot of great helpers to rely on. She’s a project manager by trade so keeping the ride going is her passion and a skill that she has lots of experience at doing. She also hosts AERC clinics and actively contributes to our sport. I enjoyed listening to her many achievements, while I admired her horse as we trotted alongside one another for several miles. My longtime friend Lisa Schneider was out there on her boy Sky. We have done many training rides together and although we have not seen each other much of late, it was great to see them floating down the trail. Lisa lives in an area that was affected by the fire and most recently the rains. Her road and its bridge have been washed out for months now making it extremely difficult to get in and out with a rig. I look forward to the day when all that mess gets cleared and we can resume training. She and Sky enjoyed an impressive ride with an 8th place finish. Terrie LaPorte had a very unfortunate dismount after completing nearly 90% of the 100 mile course, when her horse suddenly spooked and she found herself on the ground. Her story is harrowing but in true Terrie spirit, she managed to make it back and her horse is fine too. She’s another gal who loves endurance and no matter what’s thrown her way, she has goals fulfill and ain’t nothing stopping her. Above all I’d like to express my deepest admiration for my horse Cheeky. He carried me with enthusiasm and purpose from the start until the finish. His vet card was testament to his level of fitness and his ability to take care of himself throughout the ride. I loved our time together and my heart swells with pride and sincere admiration for my special boy. He worries like me but always gives it his all and uses his skills to get us through. I wanted to finish before dark and he made that happen for me. We also crossed the finish line with all four of our grape colored Renegade Hoof boots... thx Gina Lander for sending us the good luck color 💜 Cheeky had lots of attitude as he showed off for Juan who was out there cheering for us from the start until the finish. It was a magical ride and we thank all the volunteers, veterinarians and ride management for making it happen. Lastly... I want to thank all those responsible for gifting me the gorgeous Virginia City 100 sterling silver belt buckle. I never dreamed that would happen. I thought I didn’t want “stuff” anymore since the fire but this buckle has made me smile and it’s a beautiful reminder of one of Cheeky and my greatest achievements together. The inscription on the buckle is priceless and says it all. Please believe me when I say that my heart is completely filled with emotion and gratitude and total surprise that y’all did that for me... Muchas gracias from the bottom of my heart. I was super happy to complete the 100 for the sixth time (on three different horses) and got my 5,000 miles in the process. I don’t ride many rides each year, so was happy to reach this milestone. This year I had the pleasure of riding Andrea Maitland’s mare Lily - chaperoning her #2 horse, Wyatt, on his first 100. We had a couple of incidents of Wyatt’s brain falling out during the course of the ride, so had to adjust our pace accordingly. 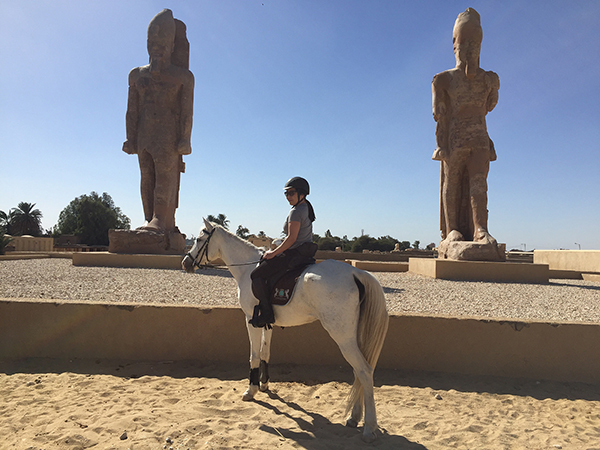 Add in some unexpected course changes, and we found ourselves several hours behind schedule, both a little frazzled (Andrea from dealing with Wyatt’s antics, me from riding a strange horse in a strange saddle on too little personal conditioning [i.e. I haven’t actually ridden anything close to a conditioning ride since last summer]). By 65 miles, I was close to tears trying to get everything done in the “hour hold”. Of course we were parked about as far away from the vetting area as possible. I opted to switch to my treeless saddle for the final 35 miles, but that meant switching stirrups and rump rug onto it, attaching a pommel bag, and transferring the contents of the bag; I needed a headlight taped to my helmet (the moon didn’t rise until 10:45 and was then behind cloud cover - and riding rutted trails in pitch black is much tougher than I realized - even if the horse can see the way); I needed glow sticks that actually gave out light taped on (the red ones make you visible to others, but don’t actually give out any ambient light); I needed to switch out my entire lower half of clothing - and “anti-chafe” my legs which were rubbed to cr*p from the strange saddle; I needed to tack up Andrea’s horse (health issues mean she has difficulty you that time of the ride); and I needed to feed myself. Thankfully, Anne Williams (fresh off her 65 miler, and “off to take a nice shower” - b*tch)(and I mean that in the nicest possible way) drove past and came to my pathetic-state rescue, helping me with all the above)(well, not the clothing/anti-chafe part). Many thanks to her. The result was we were out 30 mins late (not helping our “tight on time” schedule), but at least we were out. Doing the math as we set off into the darkness to anxiously spot glow sticks, I realized we had to maintain slightly over 5 mph for the next seven hours. Which may not sound bad, but it includes several long climbs and a couple of descents, and sand. Andrea had “Endomondo lady” on her phone, calling out the miles as we checked them off. I told her we needed 12 minute miles, or below if we wanted to finish. In addition, I worked out that we needed to be in to VC5 by 3:30 latest. We stuck Lily in front and told her “trot” and trot she did. 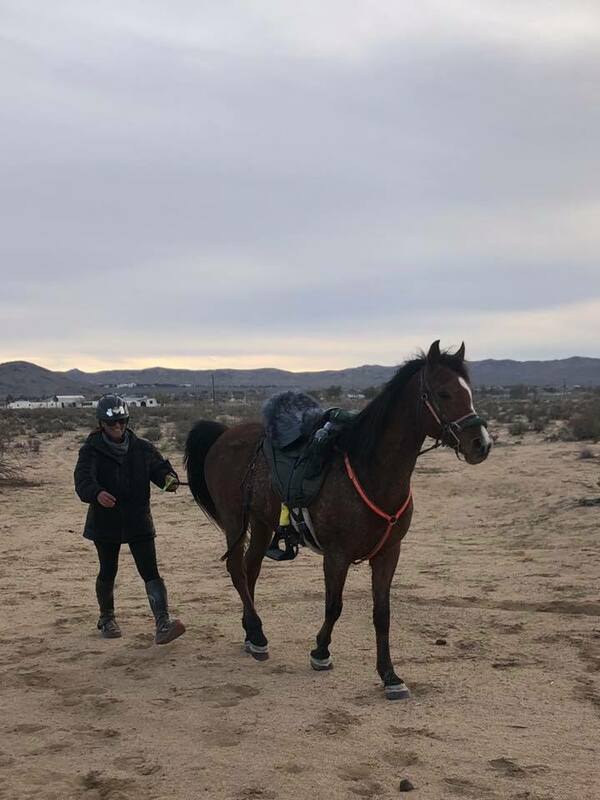 That little mare maintained a consistent trot for the next 15 miles, much of it uphill in sand, carting my extra 35-40 lbs of unused-to weight (her usual rider Andrea is less, er, “muscular” than I). By the time we reached the 395 crossing (80 miles ish) around 1 am, we’d bought ourselves about 25 mins of time. Just as well, as we both got dizzy and peculiar when we stopped trotting here, and Andrea’s body decided enough was enough, and she had the pleasure of her first endurance-induced puke fest. Thankfully Wyatt didn’t care (stood in front of hay), and after 5 mins of wavering, she sucked it up (so to speak) and off we went again. We even caught and passed a couple of riders at this point and worked hard enough to get into VC5 by 2:45. It was freezing at this check, but the horses scarfed down mashes and Andrea scoffed down tums. To show you how far gone I was, when we arrived, I unclipped my tailing rope from the saddle, hopped off the horse and walked her over to the in timer. Only when I got there, I realized that my tailing rope wasn’t actually attached to the horse - I was just holding an empty rope - and she’d gone off, got herself a drink, and found the hay. The vet pronounced her “a little stiff” (you think? After what she just pulled off?) and by then we had 2:45 hours to get the last 10 miles, so we took it really easy on the way in and finally got in at 5:40 am (ride start was 6 am the previous day). This would have been fine if, by then, I wasn’t hallucinating from tiredness (not the first time on this ride). Amongst other things, I hallucinated an elephant, two dragons, an extra horse that Andrea was ponying, and an overhead banner that was so real I reached out to touch it (it turned out to be the skyline). I had to hand-walk Lily down the long hill to stay awake, and at one point when she stopped to pee and I leaned over her neck, I fell asleep completely. But get it done we did - and Wyatt was still rooting and pulling and wanting to go faster at the end of his first 100 - amazing. Many thanks to Andrea for hauling the horses from AZ and entrusting me with her gem of a mare. Such a great mare to borrow. 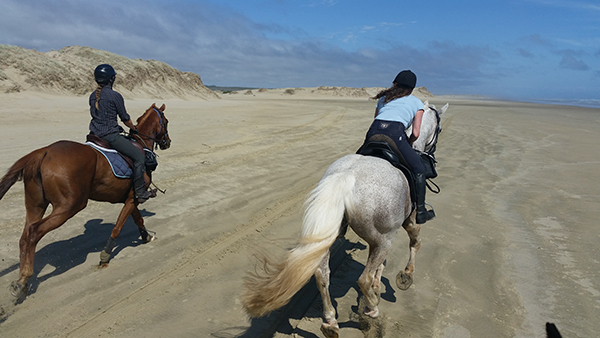 Get the inside word from a Kiwi rider on her favorite horse trekking experiences. New Zealand is well known for the amazing scenery and the incomparable natural beauty of our beaches and wild spots. As riders, we know that pretty much every view looks better between two furry ears, and New Zealand is no exception to that rule! 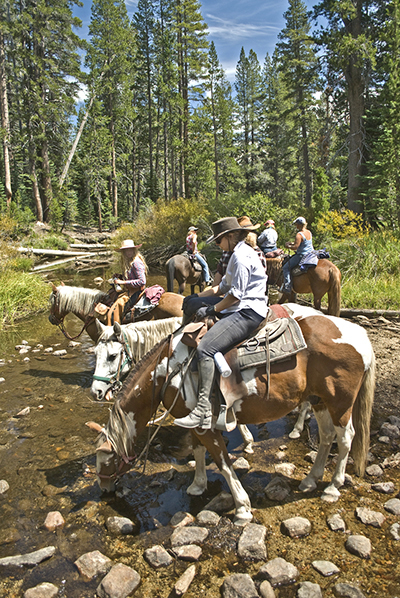 Why go on a horse riding vacation in the Sierra Wilderness? It’s simple. 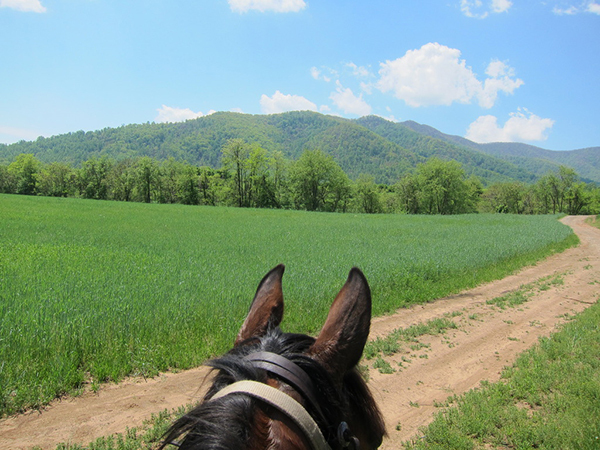 As beautiful as this country is, it’s always twice as nice when seen between the ears of a horse. As I drove closer to Lee Vining, the storm clouds grew bigger and darker. Finally, I reached the scenic Vista Point that overlooks Mono Lake and Lee Vining far below. What I saw next made my heart sink to the very bottom of my soul. Those weren’t storm clouds! They were great billowing clouds of smoke from a forest fire that was raging out of control near Tioga Pass. With high winds at its back, the Walker Fire quickly spread out of control. Airplanes and helicopters were flying in formation over the fire and dropping orange fire retardant in a feeble attempt to quell the fire. Silhouetted against an enormous wall of swirling red fire and black smoke, even the largest planes looked like tiny flying insects. Crestfallen, I forged onward to Mammoth Lakes. The following morning, our group met for breakfast at The Stove Restaurant. There were two male wranglers (Clay and Andy), one cook and lady wrangler (Anna), and eight guests comprised of four ladies from Indiana, a married couple from England, a gent from California, and me from Michigan. After breakfast, we drove to Horseshoe Lake Trailhead, where our horses and pack mules were waiting. Some of us rode horses that were a quarter horse-warm blood mix, whereas others rode mules. Trading in Chicago winters for Arizona sunshine was a no-brainer. 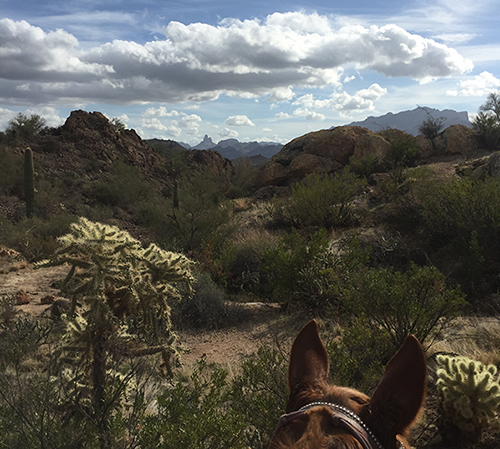 Instead of slogging through slush in downtown Chicago, I explored the canyons, washes and rugged trails of the Tonto National Forest on horseback. The fifth-largest national forest in the United States, Tonto boasts nearly 900 miles of trails. For several months, I had the Superstition Wilderness — one of eight wilderness areas within the Tonto National Forest — as my back yard. Located east of Phoenix, the Superstition Wilderness has 180 miles of trails spread out over 160,000-plus acres. This “forest” is populated with saguaro, cholla, prickly pear, mesquite, palo verde, ocotillo and many other cactus, trees and shrubs I still need to learn to identify. As a remedy for cabin fever I decided to travel to the Broxton Bridge Endurance Ride in Ehrhart, South Carolina with my horse, Summer, this past weekend. Since I hadn’t been able to ride much lately, due to the bad weather, I entered her in the limited distance 25 mile ride both days, intending to ride at a slower pace in hopes of getting her ready for a 50 miler in March. The first days ride went as planned, I started near the end and kept Summer at a moderate and steady pace, using caution in areas of loose sand and muddy places. Even though the trails were well packed, we don’t train in sand so I needed to be careful. We rode alone most of the time and enjoyed each other and the nature around us. She was really tuning in to me and didn’t mind when groups of faster riders cantered past us. We hooked up from time to time with friends for short distances, which kept things interesting with occasional conversations. She finished the ride looking fresh and ready to do it again. At the awards ceremony that night I discovered that we had won the coveted turtle award for being the last one’s over the finish line. Little late writing this. The Monkey has had some bronchitis and laryngitis ( same stuff I had after Moab a couple of years ago) and a few other things so I had to wait in line.Geez! Once again we all had fun in Trona! Mr Monkey and Ice did all four days! I'm proud of them especially Ice who skipped and danced over all those rocks bare foot!She has cast iron hooves I think! I only did two days because of the monkey's bronchial condition.Geez. Anyway, on day one we got to ride with the front runners for the first cold and windy loop. The monkey just wanted to get her wheezy little body back to the warm trailer so off I went following Christoph's cute little filly. Her Monkeyship usually only lets me catch up to Christoph on a ride to say hello then pulls me back. Today was my day! It was Christoph's cutie, Mark Montgomery's Mustang Gus and......littl' ole me! We had a ball for the first loop. Wheee! I was as hungry as a horse (funny about that) at the hold and wanted to stay there but those youngins' would listen to me. Wait I said, there's no salad bars on the trail. Not even slim pickins'!Just sticks and dirt!Let's chow down here. 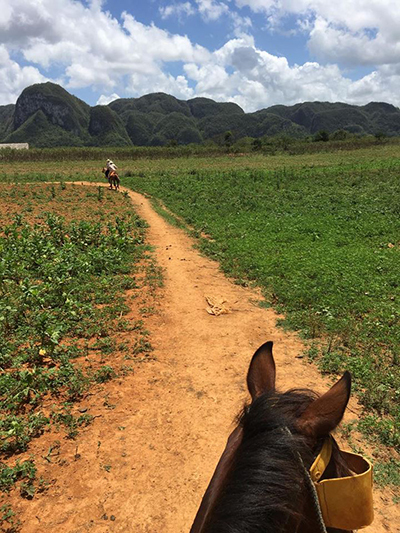 Travel expert Jeannette Ceja rides horses in Viñales, Cuba, just two hours from Havana through tobacco fields and lush forests. Cubans frequently told me that I had to make time to visit one town during my stay in Cuba. To really know Cuba, I have learned to always listen to what the locals recommend. And the experience exceeded every expectation I had. Forget Aintree or Ascot, the Mongol Derby is the horse race to beat all others. It takes place on Mongol Steppe in Mongolia and it covers a thousand kilometres. The horses are not your trained, riding-school variety but native, semi-feral Mongolian ponies. I’m short, but even I looked pretty silly on board these tiny creatures. The Mongol Derby is based on Genghis (or Chinggis, as he is known in Mongolia) Khan’s ‘Örtöö’ messenger service, which enabled information – and messengers – to travel from one end of his empire to the other in a matter of days. Given that at one point the Mongol Empire stretched from central Europe to Japan, organising the system was no mean feat. It entailed, essentially, a series of ‘horse stations’, each around 20 to 40 km from one another, at which a messenger could sleep, eat, and pick up a new horse. It was bitterly cold and I had so many layers on that I looked like a woman in a moon suit. One expensive jacket after the next yet I couldn’t warm up. I was a few minutes late to the start and it seemed as if everyone had already left. Cheeky and I quietly moseyed out of camp, called out our number and we were off. I pretended I wasn’t freezing but I found myself constantly fidgeting with all the layers, scarves, hoods and zippers. The morning started off with a wet mist that graduated quickly to a cold rain, accompanied by a frigid wind that seemed to cut through all that I was wearing. Cheeky was feeling frisky and he had a good pace going on, which would bring us back to camp for the first vet check nice and early. He pulsed down quickly, we vetted through and everything went smoothly. Juan accidentally slept through it all and when he heard us outside the trailer, he came out frantically knowing that he’d blown it. I threw a few blankets on Cheeky, made sure he had plenty of food and then huddled in the tack room and tried to get warm. Juan quickly made me a hot coffee, while the hold time passed by quickly and we were soon back out on trail. The second loop had more rain, and cold air but Juan was ready and waiting for us this time when we arrived back at camp. It was to be the 1 hour lunch hold and by then we had already completed 30 miles of trail with only 20 more to go. I was frozen like a popsicle. The rain was coming down steadily and we didn’t talk much. I added a rain poncho and rain pants on top of everything else and that helped to warm me up. The final loop was long but Cheeky handled it like a champ. For the first few miles he protested and seemed rather incredulous that I was asking for more under such dire weather conditions. He complained loudly for the first few miles and then he gave in and went to work with the strength and forwardness that he’s known for. I loved our time together. This morning Juan made me some coffee and now he’s warming up my gloves like they’re tortillas. We are not desert rats but instead beach bums... The air here is so harsh that it feels like opening up a freezer door and then taking a big inhale. It’s time to head home after a wonderful weekend at the Fire Mountain Endurance Ride. We give many thanks to ride management, all the wonderful veterinarians and the many volunteers who without their efforts, we would not have this amazing sport of endurance riding. 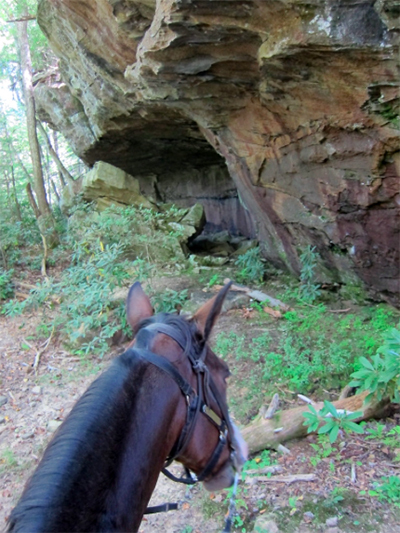 Frequent Equitrekking contributor Susan St. Amand rides again amid sandstone formations and historic sites at Big South Fork Recreation Area in Tennessee. Recently, I had the pleasure of trail riding at Big South Fork Recreation Area in Tennessee again. No matter how many times I ride here, it is a beautiful and interesting area to ride. A national park, the Big South Fork area has many scenic gorges and sandstone bluffs that are impressive. 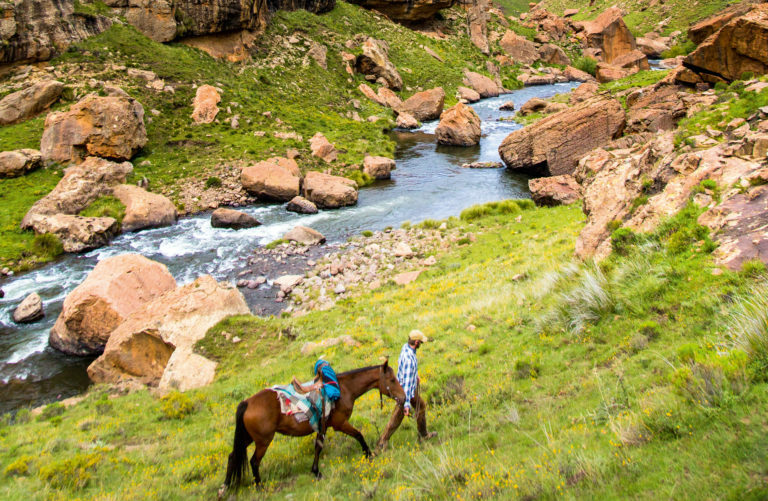 Whether due to the 100th anniversary of the National Parks, economy, or increased interest in trail riding this year, we encountered an increase in the number of trail riders and horse camping in the area which everyone was pleased to witness. 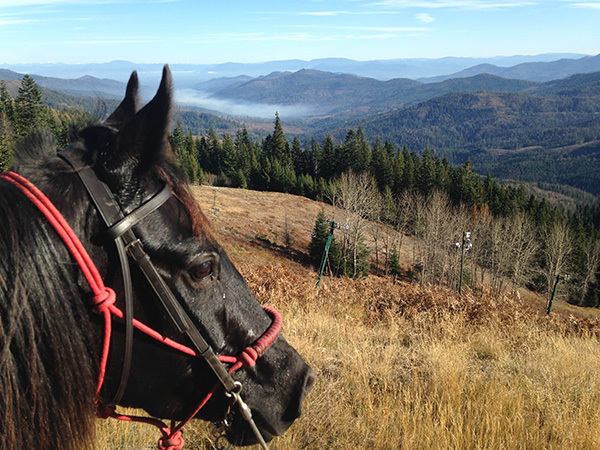 In addition, the fall weather and foliage were beautiful during the week we rode. Greetings to those who follow the ride! Below is the most up-to-date information on my current ride. I try to post as often as possible but when traveling I’m limited with access to computers and the internet. I have been accused of bringing Montana with me! No one is complaining however. The moisture is much needed. But this much at one drop, with single-digits weather is more like Montana. No matter how fast or slow I travel, the days consistently pass by as we near the end of 2018. Bill’s Old Blue Truck gallantly pulls me on and on. I remember thinking way back in Oregon, “I’ll be halfway through my book tour when I reach Santa Fe.” Well here we are! For centuries, the Marquesans have preserved their home's rich natural heritage and distinctive cultural traditions. The Marquesas Islands are part of French Polynesia and yet proudly apart. You won’t find overwater bungalows and turquoise lagoons on these 12 volcanic islands, six of which are inhabited. Instead, the Marquesas feature green peaks that plunge directly into the sea, waterfall-laced valleys, and dramatic rock spires. In addition to this rich natural heritage, the Marquesans are active in keeping alive distinctive cultural traditions in tattooing, dance, language—and horse riding. 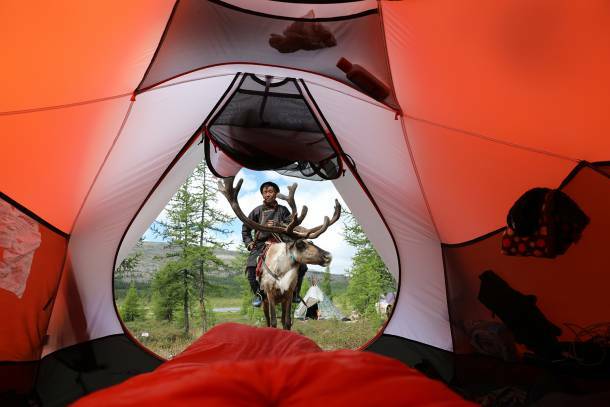 The Tsaatan tribe in Mongolia lives in harmony with the reindeer they raise. They are among the last nomadic tribes rooted in this historic relationship. I traveled to Mongolia to learn more about their culture. I raced in the world’s longest and toughest horse race, the Mongol Derby, in 2012 to follow a passion for exploring the world on the backs of spirited horses. While racing, I found Mongolia one of the wildest and freest places on the planet. Curious to know more about the unique cultures within Mongolia, I came across a book by Jimmy Nelson, “Before They Pass Away.” A photograph of the Tsaatan tribe riding their reindeer captivated me. The photo compelled me to meet them for myself while their way of life still exists. The Mongol Derby wants to kill you. I had been warned of it. I had started to suspect it. Now, as a pair of snarling dogs came lurching at me as I hung off the side of my bolting horse, I knew it to be true. We had been galloping for 10 kilometers down a desolate dirt road through what appeared to be an equine cemetery, with horse skulls and bits of bone scattered across the green knolls. Rounding a bend, we found ourselves face-to-face with a fully intact horse skeleton. As my horse spooked, launching me half out of the saddle, two dogs blasted out of a ger, biting at his ankles as I struggled to hang on. Really? This is how I’m going to die? A year of preparation to ride 620 miles across the Mongolian steppe and I’m going to be ripped to pieces just four days in by two angry, potentially rabid dogs? “Not today, boys!” I shouted as I hauled myself back up onto the saddle. As we reached the edges of their territory, the dogs backed off and slowly disappeared into the distance.